Ed Welch's newest book comes out today (see the trailer below). I had the privilege of reading an advanced copy of the book as part of my research on gossip. I felt dirty when I read this book. And then I felt cleansed. Ed Welch takes readers into the disgusting depths of the experience of shame and then brings them up and out of it via the ever-startling story of the gospel of Jesus Christ--who was shamed for our sake. Shame Interrupted is the only book of its kind and is worth reading for your own soul and for ministering to anyone who knows the horror of shame. Now that it's officially out, I've already ordered two copies to give away. So many struggle from this without knowing what it is or what the gospel says about it. Hooray! Another gift to the church. [Matt's Messages] "The Externally Focused Church"
Before we get going, I want to congratulate the Challenge Kids and their parents for putting on a excellent 5K race yesterday over at the West Branch Cross Country Track. It was well organized and fun. I was one of the runners and finished in less than an hour. I won’t tell you how much less. Two of my boys ran with me and that was a lot of fun. I have been wondering about these fundraisers that our Serbia Team and our Challenge Kids have been putting on. How come they don’t sell me chocolate chip cookies? Instead, they keep inviting me to play volleyball for half a day or to run 3 miles (and pay for it!). I think there is a conspiracy going on here! A conspiracy to get us into shape. Have you found Matthew 5? Verses 13 through 16 are a short paragraph in what we normally call “The Sermon on the Mount.” If you have a red-letter Bible you’ll see that all of these words are in red. They are the words of our Lord Jesus Christ. He preached the sermon on the mount primarily to His disciples. When He says, “you” He means us, those who believe in Him and follow Him. Verses 13 through 16 are just a little bit into the sermon. They follow what we call the Beatitudes, the counter-cultural, counter-intuitive statements of blessing that Jesus teaches His disciples. After that list of wonderfully strange blessings that rest upon Jesus’ counter-cultural followers, Jesus says these words. Matthew 5:13-16. This message is all about what we learned at the last week’s Allegheny District Conference of the EFCA. I was encouraged by this conference for several reasons. First, just to see everyone. Our church is one of 27 churches in the Allegheny District. You are a part of the Allegheny District because you are a part of our church. And our church is a part of the Allegheny District. It’s like a big family of churches and getting together for conference is like a family reunion. We found out that 23 of our 27 churches were represented by pastors and church leaders from around the district: Western Pennsylvania, Eastern Ohio, Western New York, West Virginia, and the panhandle of Maryland. 23 out of 27 is pretty good, and it was good to find out what has been going on in our sister churches over the last year. For example, our sister church in Sarver Pennsylvania (anyone know where Sarver is), they have called a new pastor, Kerry Doyal. He just started two weeks ago and he was already at the district conference. That’s the church that Rob and Kathy Barkman are now attending. So it’s great that they have a new pastor. The worship in singing times were very good. They sang some songs that we sing here and some songs I’ve never heard before. One of the evenings, the worship music was led by the band from CORE Community Church which is the sister church that I got to preach at on Sunday morning. That’s the church that recently had their pastor resign back in February, and they are certainly grieving–but they are a great bunch of people and it was terrific to be with them, as well. I told them that we are praying for them as a church, so we better be praying for them back here. They are our family. We also saw Pastor Mark Petras who had been at our church plant in Altoona, but has now moved to a church plant just south of Cleveland. He sends his greetings to you. And, at the same time, there was a representative from our Altoona church plant, Matt Paonessa was there. And he is key leader in that church plant which even though it doesn’t have a vocational pastor right now is still going and still going strong. We need to continue to pray for them and support them in their efforts to reach the Altoona area for Christ. Those were just some of the people we were with and that is always a joy. I have volunteered our church to host the district conference some year–maybe next year. I told Pastor Jeff, our district superintendent, that our church would enjoy hosting the conference. I would love for our extended church family to join us here along route 80, sing with our worship band, eat our distinctive Western PA foods, and enjoy our Lanse Free Church hospitality. And I’d like for you to get to know that extended family better than you do now. It’s a great thing to be a part of the Allegheny District. But it was particularly the theme and the teaching at the conference that inspired me to write this message for today. Two speakers, Eric Swanson author of “The Externally Focused Church” and Alvin Sanders of the EFCA’s Samaritan Way ministry were the speakers. And they both spoke on the same topic, leading your church to become more externally focused. Eric spoke to our heads and Alvin spoke to our hearts. And both were encouraging us to use our hands and feet. To make sure that our church is externally focused. It means that the church, as it is supposed to be, does not just look inward and serve its members. It means that the church looks outward and serves the community that it is planted within. A church that has an external focus. Not just an internal one. Now, they weren’t saying that churches never look inward and that they never focus on fellowship or teaching or spiritual growth of the members. Obviously, they do and should. But the speakers reminded us that it is relatively easy to do that and to miss the community around you. To miss evangelism and to miss service. Serving the community that you are planted in. If Lanse Free Church disappeared overnight, would anyone in the community notice and, of those who noticed, would anyone care? Is your church just IN your community or is it FOR your community? And to the degree that your church is actually FOR the community can give you an idea of how externally focused your church is. I thought those were great questions. And there was several hours of teaching of how to lead your church towards a greater external focus. If you want to listen to the recordings, they are online and you can download them for free and listen to them. How do you think we are doing at being not just IN our community (and world) but FOR our community (and world)? Well, I think our church is doing great, but I’m sure that we are missing opportunities, as well. Today, is our quarterly church family meeting. And we’ll be giving a report and look ahead at our outreach ministries. The Wild Game Dinner and the Moody Men’s Choir Concert were the most recent ones. We have the Ladies’ Spring Banquet and Family Bible Week coming up. And we have a new outreach planned for August, our first ever Good News Cruise. And our longest stretching outreach is our Serbia Team, not just ministering to our community but around the world! So we are externally focused. But we can certainly get better at it. A lot of the things that we do, for example, are invitational ministries. Come and see, come and hear. But what if we did more, Go and Show? Instead of Come and See, we did Go and Show? That was one of the emphases at the conference. Go and Show. You know, that’s a strange thing to say. We’re used to it because we’ve heard this over and over again. Jesus is saying more than that. And notice that he says, “You are the salt of the earth.” And remember whom he is talking to. His disciples. His followers. His people. Us. The church. Well, what does salt do? It melts ice on the roads? It’s something you put in food to flavor it. Yes, I think there is something to that last one. But what salt was mainly used for in that culture, pre-industrial culture, was to preserve meat. 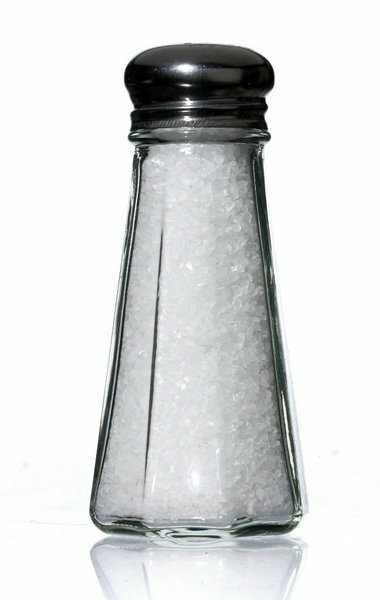 Salt was a preservative more than a seasoning. It was a flavoring, too. So, we give flavoring to the world. But, I think that what Jesus is emphasizing is that Christ-followers deployed into the world are a preservative influence on the world. At least, we are supposed to be. You are the salt of the earth, Christian. You are to live out the attitudes of verses 3-12 (poor in spirit, mourning, meekness, hungering and thirsting for righteousness, merciful, pure in heart, peacemaking) and when you live out those Kingdom Values, you will (as one scholar said) “have the effect of delaying moral and spiritual putrefaction. If [our] lives conform to the norms of verses 3-12, they cannot help but be an influence for the good in society.” (Carson, The Sermon on the Mount, pg. 30). Now, that implies two things. #1. That society is rotting. Do you need any proof of that? And #2. That Christians are IN the world. Now if you were in Godspell this Spring, then you have a song running through your head right now and you can’t help it. Maybe if you just saw it you have that song in you head. What does that mean? It’s the rest of verse 13. Salt can’t stop being salt, not scientifically. But if something is called salt and yet it has a lot of impurities and other minerals and other additives added to it, then the salt can lose its purity and saltiness and taste and be no good for anything. This is talking about the purity of the church. We can’t let ourselves become like the world or we won’t be of any use to the world. This is talking about holiness. It’s talking about living a life that is different from the world. Are you different from the world? Here is the application question for verse 13. Am I a preservative in my community? Or am I just a part of the rotting problem? That means that we have to have a quality to our life that his holy (not perfect but holy) and that we are entering into the world to preserve it. For example, on the job. Are you a Christian worker in society? I mean, if you are a teacher, are you a Christian teacher? Are you a Christian nurse? Are you a Christ-following business man? Are you a Christ-following janitor or maintenance man or cook or aide or secretary or whatever you do 40 plus hours of the week? Do you bring Christ with you into the construction zone? Into the cab of the truck? Into the breakroom at work? Are you a Christian worker on the job? Or are just like the rotting meat around you? I was talking with a friend on Friday afternoon and she said that she had a co-worker many years ago who was just different from the other workers. She was happy and joyful and did her work well and she didn’t complain and didn’t swear and didn’t curse like the other workers. She was different. And she’s in the room. I won’t embarrass her. But she was salty and it showed. And that had an effect on her workplace. She didn’t go around preaching on the assembly line floor! But she was salt. If you were in Godspell, you the refrain keeps running through your head, as well. “Let your light so shine before men. That’s the second metaphor that our Lord uses. In verse 14. Now, wait a second. Didn’t Jesus say that He is the light of the world? Yes, He did. John chapter 8. So, our light is His light, right? We are the shine His light in the world. But He says that we are the light of the world. We have a responsibility to shine that light. If we are doing our job, the world will notice. Notice, that this implies that the world is full of darkness. Anyone dispute that? And it is a call to let our light shine. Hide it under a bushel? No! I’m going to let it shine. It would be foolish to light a candle and then hide it. Well, Jesus has lit our candles, and now we are to the light the world. Well, preaching is one way, but that’s not what is emphasized here. Jesus is saying that we are light when we do good deeds in the world. Especially when we do them in Jesus’ name. That’s important. Who gets the praise when we do these good deeds? So, when we do them, it is somehow clear that we get our power from Him and not from ourselves. We get our goodness from Him and not from ourselves. The word translated “good” in verse 16 means “beautifully and attractively good,” not just morally good. It’s not what we don’t do. We need to take care not to do everything the world does or we won’t be salty. But this is talking about more than what we keep from doing. It’s what we actually do. That’s a lot of what the speakers at the conference were talking about. They mentioned things like after-school tutoring. And filling backpacks for school kids. And creating jobs in your community. Making the world a better place through acts of mercy, tangible service to others. Fixing cars for single moms. We are not saved by good deeds but we are saved for good deeds. Remember the first Sunday of the year, I told my story of being a goodie-two-shoes who thought that he was earning his way into God’s favor? But that isn’t how it works. We are not saved by works but by grace. Ephesians 2:8&9. So, here is the application question for verses 14-16. Or am I hiding my light under the bowl? Let me add to that. I give you permission to shine in our community. Sometimes people think that the only way to serve as a Christian is to serve in the local church. But there are a lot of ways to serve the Kingdom of God that are not just serving within the church body. I hope you do have a ministry here in this church body. But we need to have a ministry in that community. We need to be externally focused. And if you need permission to be salt and light in our community, you have it, from me, okay? Someone mentioned that there are opportunities that we are missing to be involved at the West Branch School. If you need permission to miss prayer meeting or to miss Link Group or to miss a night of Family Bible week or even to miss the occasional Sunday morning to be salty and to be shining, you have it from me. Okay? Now, you can really only do that if you are regularly dipping your wick into the Light with a capital L and it’s much easier to shine together when we put our flames together. Don’t try to go Lone Ranger on us. Ever notice that the Lone Ranger wasn’t really alone? And often the Sheriff and Posse, too. Don’t try to do this alone. Get out of the saltshaker and into the world. Get out from under the bowl and shine. So that they may see your good deeds and praise your Father in heaven. A month ago, during a conversation about my doctoral project, a friend asked me what I was going to do with my title. I didn't understand the question at first, thinking he was talking about my book. I said, "It's called Resisting Gossip, but it's possible that a publisher will want to change the title." He said, "No, I mean, 'Doctor.' Are you going to going to start referring to yourself as Doctor Matt? I think you've earned it." My wife says that she is going to call me, "Doctor Fathead" just to make sure that I don't get one. My friends have joked around with me, calling me the Reverend Doctor Matthew Mitchell and asking if they will have to genuflect in my presence. I've got great friends that keep me humble! But I had never seriously thought about going by the new moniker. For one, I don't want to get my identity from my degree. [Read this great article on "credential envy" among evangelicals by Owen Strachan.] I get my identity from being a child of God. Secondly, I don't want to separate myself, at all, from my flock. The name "Pastor" can be a term of respect for the pastoral office and also a term of endearment at the same time. Even the kids at church can call me "Pastor Matt" and use a term of respect and a term of familiarity (my first name!) at the same time. Switching to "Doctor Mitchell" would set all of that back. Thirdly, nothing has changed. I'm still Pastor Matt even though I now have a doctorate. I'm not going anywhere. I've not changed who I am. I'm going to continue my ministry in the same vein (hopefully with more wisdom now). So, a change in nomenclature would signal that something fundamentally has changed when it definitely hasn't. So, you're welcome to joke with me about Doctor Fathead or the Reverend Doctor Mitchell, but if you want to know what to call me around church--it's still Pastor Matt. All of the sessions were recorded at the AD Conference last weekend and they're all available now online at the Christ Community Church Website. Graduation is starting to feel actually-factually-real. For years, it was just a dream, now it's less than month to the ceremony. To say that my education in biblical counseling has been significantly shaped by the ministry of CCEF is a vast understatement. Faculty member, David Powlison is featured in a new series of videos about what has been CCEF's contributions to the biblical counseling movement. I'll be re-posting them from their site as they come out because they give you a flavor of what I've experienced from this group. Heather and I are enjoying our time at the 30th Annual Allegheny District. This year's theme is The Externally Focused Church. We've listened to good talks from Alvin Sanders and author Eric Swanson. In 2007, I read Swanson's book by the same title and reviewed it for EFCA Today. I agree with what I said then. These are important things to think about and to do. I picked this book up at National Conference in my search for answers to my “Samaria Questions.” If we are going to “go through Samaria,” we have to learn to focus past the four walls of our church buildings. Rusaw and Swanson are trying to convince church leaders to combine both good news and good deeds in reaching their communities. Externally focused churches serve their neighborhoods and cities in tangible ways so that they become a vital part of their communities and, at the same time, introduce them to Christ. The opposite are internally focused churches who make no impact on the community in which they are located. Churches like that could disappear and nobody would notice. The Externally Focused Church is a book for leaders, and it got my leadership-juices going with a bigger vision for our church. It is easy to read and full of Scripture, inspiring stories of churches that are really doing it, and practical wisdom on how to lead in this direction. It is meant to be read together by leadership teams. Each chapter ends with discussion questions, application points, and even lesson/sermon suggestions. I especially appreciated how clear the book was on the relationship between good news and good deeds. Both are essential. Neither are optional. Good deeds demonstrate and validate the good news (footnote: Matthew 5:16, 1 Peter 12). But no one is saved without the good news (footnote: Romans 10:14-15). I don’t think that I would want to lead a church that was solely externally-focused. My current definition of church is Jesus’ worshiping community of gospel-centered disciplemakers. That entails at least three necessary foci: God (upward focus), church members (inward focus), and the world (outward focus). External focus, however, is probably the easiest one to lose sight of, and if we don’t give it lots of attention, resources, and effort, we can quickly fall into an ecclesiastical myopia. This book will help a church grow more externally focused, and I think that’s great. On Sunday, I mentioned the newest version of the New International Verion (2011). Renowned biblical scholar Dan Wallace did a four part review of this updated translation last year. [Matt's Messages] "Every Word of God"
Where in the world, where in the Bible, are we going next? And the big answer to that question is the book of Judges. The seventh book in the Bible. The book of Judges. Lord-willing, we’re going to go back to our long-term study of the Big Story of the Bible, and the next book is Judges. But I’m not quite ready to jump into Judges with you, so it’ll be a few weeks before we start that. Please begin praying now for that series. I think it will be a challenging but good one for us. I have had a few ideas and desires for the next few weeks, but this is what the Holy Spirit keeps bringing me back to, and that is, a message on the absolute trustworthiness of God’s word. God’s word can be trusted. You can you trust your Bible. That was what I felt the Lord wanted me to talk about this Sunday. And the place I was led to was Proverbs chapter 30. I especially want us to focus on verses 5 and 6 today. But they have a context that we can’t ignore, namely verses 1-4, so we’ll start there and then work our way down to our key verses for today. Proverbs 30:1 The sayings of Agur son of Jakeh-- an oracle: This man declared to Ithiel, to Ithiel and to Ucal: 2 "I am the most ignorant of men; I do not have a man's understanding. 3 I have not learned wisdom, nor have I knowledge of the Holy One. 4 Who has gone up to heaven and come down? Who has gathered up the wind in the hollow of his hands? Who has wrapped up the waters in his cloak? Who has established all the ends of the earth? What is his name, and the name of his son? Tell me if you know! 5 "Every word of God is flawless; he is a shield to those who take refuge in him. 6 Do not add to his words, or he will rebuke you and prove you a liar. I want to get to verses 5 and 6, but to truly understand them we have to get to know the person who wrote them. His name is Agur. A-G-U-R. He’s the son of Jakeh, and that’s about all we know of him. His name doesn’t appear anywhere else in the whole Bible for us to look him up and find out more about him. Some people think that Agur was a pseudonym for Solomon, but I don’t see much evidence for that. I think he was just another person God used to reveal Himself to us, and God’s people recognized that and included his saying in this chapter of Proverbs for us. The Bible says that his words here in Proverbs 30 are an “oracle,” or King James, “prophecy” or an “inspired utterance.” They came from God. And verse 1 says that he spoke these words to Ithiel and Ucal who we don’t know anything about. Are they Agur’s sons? We don’t know. I wish we’d named a couple of our sons Ithiel and Ucal. Wouldn’t that be fun? Scholars aren’t 100% certain about which vowels belong where here because the original text didn’t have any vowels; they were just understood or implied! But we do know one thing. Agur did not have a big head. Agur was humble, and he did not have an inflated opinion of himself. Listen to how he feels about himself. V.2. This is what he said to Ithiel and Ucal. There is one great big, “Duh” come from Agur! That’s how he feels about himself. Is that who you’d like to have your write your Bible for you? Obviously, it’s who God wanted to write Proverbs 30 for us. On his own, he is not wise. You know that song we sing, W-I-S-D-O-M.
Agur knows that on his own, he is a fool. He’s a brute. He’s an ignoramus. Who am I? What do I know? Nothing! More than that, he says that’s what everyone is like down here. What does anyone know? Really? What other book of the Bible does that sound like? What is the answer to those rhetorical questions? What man has done that? You done that? President Obama done that? Mitt Romney done that? Some translations say, “Surely you know!” It’s a challenge. Come on. Give me a name. Tell me who his son is! What guy on earth has got the corner on truth and wisdom? The answer is nobody knows anything. So, if we’re going to truly know anything, we have to have a word from God. And that sets us up to truly hear verses 5 and 6. I don’t know diddly-squat, not really, not on my own. That is such good news because we live in a very flawed world. Have you ever felt like Agur? I sure have. I do regularly. There is so much I don’t know and so much that I get wrong so often. And other people fail me, too. I have some heroes, especially some pastors and theologians who are heroes, but they have feet of clay. The best of men are men at best, and they all make mistakes. That is so good to grab a hold of. Let’s think about that together for a few minutes. Not just some of them. God isn’t like your best friend that you can trust most of the time. He is absolutely trustworthy in what He says 100% of the time. 24/7/365.25! Statements like this is where theologians get the phrase “plenary verbal inspiration” of the Bible. “Plenary” means full. It means “every,” no admixture of falsehood or untrustworthiness. Flawless through and through. “Verbal” means words. The Bible is inspired by God down to the very words of Scripture. Not just the ideas or the concepts but the very words of Scripture are the trustworthy words of God. “Inspiration” means “breathed out.” From God. The picture is that of a precious metal like silver or gold that has had its dross removed. It has been heated and cooled and heated and cooled until all of the impurities have been risen to the top and been scraped off. And what is left is 100% pure. You can trust the words of God. Now, that doesn’t mean that I understand all of the words of God. I certainly don’t, and I don’t know anyone who does either, though there are people much wiser than I. But as I do come to understand God’s words, I know that I can trust them 100%. Now, every once in a while, there is a question about which words are God’s and which ones aren’t. We already saw in verse 1 that there are multiple ways of understanding where the vowels go which might give us a little bit of confusion at times. And there are other places in Scripture where small copying errors have crept in and we have to make a judgement call about which reading is original. And we have so many thousands of ancient manuscripts at our fingertips that scholars can confidently reconstruct the originals within a percentage point or so of perfect accuracy! God has so preserved His word that we have today virtually the same thing that was written thousands of years ago. Don’t let somebody tell you that the Bible is full of errors. Ask them which ones and then look them up. Now, I don’t always find the answer the tough questions, and there are tough questions. But the problem, it seems to me, rests in my understanding of the solution, not in the words of God. Now, let me say a word about translations. כָּל-אִמְרַת אֱלוֹהַּ צְרוּפָה; מָגֵן הוּא, לַחֹסִים בּוֹ. The Bible wasn’t written in English. It was written in Hebrew, a little bit of Aramaic, and in Greek. Those are the words of God that are flawless. And the closer an English translation gets to capturing the meaning of those words, the better the translation is. But because Hebrew and Greek are not the same as English, and because English changes throughout the years, it will take many English translations for us to “get” what is embedded in the flawless words of God of Proverbs 30:5. What you have in your hands is the Word of God written. And it is authoritative for life. Because of the work of faithful translators, we can trust that we are reading the flawless words of God translated into our own heart language. Some translations are better than others. But most of the major translations are very very good. Different translators have different translation philosophies. It’s important to understand what the philosophy is of the translation that you are using. Some are emphasizing, for example, a more wooden literal word for word translation which tends to make it sound like Greek in English. It’s bad English, but it preserves more of the word-for-word literalness. The NASB is like that. On the other side are translations that emphasize a more “thought for thought” approach to translation. And they are often called more “dynamic” translations that still believe that the very words of God are flawless, but that it will take different words in English to convey the very words of God from Hebrew in a thought-for-thought manner. On the far end of that spectrum is the Living Bible which was a paraphrase. Or the New Living Translation. Those are the most dynamic in their approach. They are very readable. You might lump “The Message” in there, too, but I don’t think that is really a paraphrase even; it’s more like an artistic reinterpretation. Those are good to read, but I probably wouldn’t use them for studying. Well the King James Version is always very good. The King James Version had its 400th birthday last year! Long Live King James! And it has proven to be an incredible translation of God’s Word. I refer to it each week. It has been a true gift to the church. I think there are places where it can be improved in its textual basis, and especially in its modern English. I don’t know what it’s talking about because we don’t speak that English anymore. But it’s a good translation. As is the New King James which took out some of the thees and thous and other ancient language that we don’t use. The Bible my wife uses is the English Standard Version or ESV. I’ve been reading that, too, for the last decade. It’s more on the word-for-word side of things and its translators have tried to keep the feel of the King James while giving the best of up-to-date faithful scholarship to the translation. I highly recommend the ESV and if I were starting my preaching ministry today, I’d probably preach from it each week. For the last fourteen years, I have been preaching from the NIV, the New International Version of the Bible. We’ve made it kind of our central Bible currency here at Lanse Free. How many are looking at an NIV right now? I really have felt like it’s been in the dead center on the spectrum between readability and accuracy. So, that’s why I picked that one. It’s also been very popular. And I’ve been preaching out of this copy which has the version published in 1984. It originally came out in 1973, then updated in 1978, and then 1984. Well, last year, in 2011, the Committee on Bible Translation published an updated version still called the NIV. And it has a slightly different translation philosophy than the 1984 version and a number of significant changes to it because the translators believe that English has changed significantly since 1984. We don’t talk like we did back in 1984. And we don’t understand English like we did back in 1984. So, now, if you go to the store to buy an NIV, you’ll want to check the publishing date in the front to know exactly what you are buying. And if it says 2011 (which most of them now will), that will have some differences from what you’ll hear me read on a Sunday morning. Now, I’ve bought a 2011 NIV and I’m reading it this year in the mornings. I believe that it is a very good translation of God’s flawless words. I recommend it for reading and for study. I will read it every week as I prepare for my sermons. But, I am still planning to preaching from the 1984. Here’s why. I know the 1984 version much better. It is 95% the same as the 2011 version, but I’ve done my memorizing in it and I’m comfortable in it, and I still think it’s really really good. I don’t prefer the translation choices of the 2011 NIV. I understand them, and I’m not shooting at them, but I’m not excited about them, either. So, for the time being, I’ll be sticking mainly to 1984 and checking it against 2011 just like a check it against the King James each week and the ESV. Make sense? Feel free to ask me more questions about this. I’ve been wanting to tell you about the 2011 NIV and this seemed like a good time to bring that up. What I want to emphasize is that all of these translations are good and faithful. The scholars who have done the work of translating God’s word believe that “every word of God is flawless,” and their work reflects that. Not that they agree at every point. That would be great, but it’s not happened yet. But they all agree that “every word of God is flawless” AND that we should not tamper with it. That’s the point of verse 6. #3. DON’T MESS WITH IT. We should not presume to add to God’s words! Now, obviously, at this point the Bible wasn’t completed, and Agur was adding to God’s words by speaking these words to Ithiel and Ucal. But his words here were God’s words, too. And Agur doesn’t go out on his own spreading his own wisdom, his own truth, his own ideas, his own concepts into the world. I don’t want to be rebuked by God for adding in my own 2 cents. Every word of God is flawless. #3. TAKE REFUGE IN HIM. Agur is quoting and riffing on King David. The Bible loves to quote the Bible. It’s from Psalm 18, verse 30. I love how the focus shifts form the words of God to the speaker of those words. God’s words are trustworthy because God is trustworthy. He is a safe place to hide behind. What He has said is safe to believe. What God has said is safe to believe. This is how we say it in our EFCA Statement of Faith. It’s point #2 about the Bible. This is a glorious thing to hang onto. If every word of God is flawless, why wouldn’t you read it? Huh? I talk to people all of the time who say that they pray, but they don’t read their Bibles. How about I stop listening to you and just talk from now on. Sure there is a time for talking. God wants us to pray! But He wants us to listen, too. And believe what it says and do what it says. Take Refuge in the Author of the Bible. What is your plan for meeting God over the pages of Scripture this week? Thirteen years ago this week, Heather and I were getting ready to go to the district conference just like we are this week. And Heather was six months pregnant with a very active little girl. And the worst thing we could imagine happened. The little girl died in her Mommy’s womb. We realized that something was wrong and took a painful ride to a hospital to confirm our worst suspicions. I have never cried so hard or so long. We drove back home. Heather was induced and we have held our little one in our arms for the first and last times. It means grace. Because she was grace to us. And we know that because of God’s words. In that time of terror and sadness and grief, we held onto Romans 8:32. And it was our refuge. If we didn’t know Romans 8:32, then we would have been lost in our grief. I am the most ignorant of men; I do not have a man’s understanding. I have not learned wisdom, nor have I the knowledge of the Holy One. I have not gone to heaven and come down. I have not gathered up the wind in the hollow of my hand. I have not wrapped up the waters in my coat. I have not established the ends of the Earth. I don’t know why my daughter died! But I know that every word of God is flawless, and I know that he is a shield to those who take refuge in Him. Well, I know that on a Sunday when we have a baptism, that I’m just the opening act for the main event! Amen? In just a few minutes, we’re going to hear Lucinda Socoski tell us her story, and then we’re all going to have the privilege of witnessing her baptism. But before we do that, we need to hear a word from God’s Word. Last week, the sermon title was simply, “Death.” And we meditated together on our great enemy, death. By the way, we ordered a few copies of that book that I was talking about, and they will be available next week if anyone wants to buy one at our cost or borrow it from the church library. Last week, we talked about death. That’s the whole point of Resurrection Sunday. It’s about life, new life. And a new kind of life. And to think about what God says about life, on this Resurrection Sunday, I want us to turn together to the Gospel of John chapter 10. I’m doing something I’ve never done before in 14 years of Easters. I normally take you to a passage of scripture after Jesus’ death. Most of the time one that tells the story of His resurrection or from a New Testament letter that explains His resurrection. But this year, we’re going to go to John 10. John 10, which comes before Jesus’ death and resurrection but it predicts and explains it. John 10. John chapter 10 follows John chapter 9. Impressed yet? In chapter 9, the Lord Jesus had a fight with the Pharisees over a man born blind that Jesus healed. And chapter 9 ended with that fight. Jesus tells the Pharisees that they are spiritually blind themselves. And chapter 10 just takes off from there. Jesus calls the Pharisees spiritual thieves and robbers and uncaring hired hands. While He is the Good Shepherd. I wish I had time to preach everything in chapter 10, but Lucinda can’t wait to get baptized, so I’m going to read verses 1-21, but not preach all of that. I’m actually just going to point at the verses that talk about life. But we’ll read the whole thing. Do we have time for that Cindy? The thief comes only to steal and kill and destroy; I have come that they may have [WHAT?] life[! ], and have it to the full. ‘I am the good shepherd. The good shepherd lays down his life for the sheep. [Listen for that phrase again. It’s important.] The hired hand is not the shepherd who owns the sheep. So when he sees the wolf coming, he abandons the sheep and runs away. Then the wolf attacks the flock and scatters it. The man runs away because he is a hired hand and cares nothing for the sheep. I’m going to tell you a story so good, you won’t hardly believe it. There was a man, a good man, a great man, the greatest man in all of the world. No man was like this man. In fact, He was killed. In fact, He was killed by torture. And three days later, he came back to life. This man was a corpse. He hadn’t just fallen asleep. He had lost too much blood and He had stopped breathing. And His heart had stopped. And His brain had stopped. And He had gone all purple and then all white. And He was dead for days. He died on a Friday. And He was still dead on Saturday. But on Sunday, He was alive. Doesn’t it sound almost too good to believe? His name is Jesus, and He is alive today. And He predicted what happened to Him. In fact, He chose it. John chapter 10 is from before Jesus died. Now, that’s a pretty good shepherd that will die for dumb old sheep. That’s Jesus’ point. The other spiritual leaders up to this point weren’t good shepherds. They were spiritual thieves and robbers. They were hired hands who ran away when the danger comes. But not this good shepherd. He lays down his life for the sheep. Which normally meant, he took risks to protect them. But Jesus means something much deeper. Jesus means that He will lay down His life willingly for the sheep, instead of the sheep. He takes the place of the sheep. Not Pilate. Not Herod. Not the Sanhedrin. Not Judas. Not even Satan. But Jesus is choosing it. And here we see that Jesus tasted death on purpose. No one forced it down His throat. He picked it up death and ate it down by His own free will. But He didn’t stay dead. Now, that is unlike any shepherd there ever was. Jesus laid down His life and then took it up again. Why did He do this? Look again at verse 10.
Who is the “thief?” of verse 10? “The thief comes only to steal and kill and destroy...” Who is the thief? It doesn’t say, and in the context, the thieves are the false spiritual leaders, the Pharisees, and the others who have failed the sheep time and time again. But, we know who is behind that. We know who their father is. It is the devil. He is a thief. He comes to steal and kill and destroy. We saw that last week in Hebrews 2. That the devil held the power of death. But that Jesus’ death destroyed him. I can’t really imagine what full life means. Have you ever felt fully alive? Just one of those moments where your life is so full of life that you feel fully alive. I think that’s getting at it. Here, in the context, it stands for fat and happy sheep. A sheep is happy when it has plenty to eat and drink, is safe with no predators nearby, and has someone watching out for it. That’s what makes a sheep happy. Jesus says in verse 9, that those who enter by the gate (and He’s not just the shepherd, He’s the gate) will be saved. He will come in and go out and find pasture. That means lots of green grass for eating. Life as good as it gets. That’s what Jesus has come for. And that’s what we’re celebrating with Lucinda today. She has received life to the full. Do you want to know what abundant life is? Look at her face when she’s telling her story. But don’t worry, in case you’re wondering, this is not as good as it gets. Lucinda, this is good, but it’s not as good as it gets. That full life is here in principle, but it will get much better when it is fulfilled. Life is coming when we receive our resurrection bodies and live in the resurrection world that is coming. Life that is full and never empty. Life that is life the full. That’s still on the way. That’s what Jesus came for. That’s what Jesus promises for His sheep. Not just eternal existence. Everyone will have that. Heaven is a party that will never end. And Jesus secured for His sheep by laying down His life only to take it up again. That’s what Lucinda is about to picture with her baptism. And she laid down into the water, she is proclaiming to the world that Jesus laid down His life for her. And as she is brought up out of the water, she is proclaiming to the world that Jesus came back to life to give her LIFE and have it to the full. What do you think, I mean, really? When Jesus said these things, the Jews were divided. Verses 19-21. Some said that Jesus was stark raving mad. Maybe you think I am, too. You really think that Jesus came back from the dead? And if He did, then it makes all of the difference in the world. Because Jesus died for His sheep. He has sheep that are not of this fold...yet. But He will bring them in also. He’s talking about the Gentiles. Like you and me. They too will listen to his voice and come in through the gate. Lucinda came in through the gate. She heard the Shepherd’s voice and came in. Now, she’s telling the world. How about you? Have you come in? I’ve been thinking a lot about death recently, and Palm Sunday always seems like a good Sunday to talk about it. As, I said, I’ve been thinking a lot about death recently. Not just because we had a death in our church family this week. Mr. Dobash, Sr. died on Wednesday and yesterday was his funeral. I talked there about death, as well. Probably the biggest reason why I’ve been thinking about death recently is that I’ve been reading an outstanding little book on the subject of death. 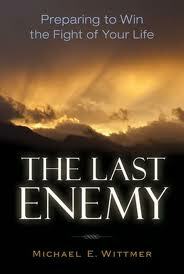 It’s called, “The Last Enemy: Preparing to Win the Fight of Your Life” by Michael Wittmer. It is simply the best book I’ve ever read on the subject of death. And I’ve read a few. This book is one of those books that rises to the top of the pile. It has short little chapters full of Bible and theology. Lots of stories. And it’s really just a little book to get you ready to die. I recommend everybody reads it at some point, but especially if you’re just realizing that you are going to die. I talked yesterday at Mr. Dobash’s funeral about how we tend to forget that we’re all going to die. But we are. We are all going to die. Even if you live for 92 death-defying years like Mr. Dobash did, you will still die. This is how Mike Wittmer starts his book, chapter 1, first page. And sometimes we need to be shocked back to reality. The person on each side of you is going to die and so are you. For me, it raises fears. Wittmer deals with that lie in his book, as well. He quotes Episode One and says, “Yoda thought he was doing better when he told Anakin, ‘Death is a natural part of life. Rejoice for those around you who transform into the Force.’ What Yoda failed to mention is that the divine Force is an impersonal power, so you can only join when you as a person slough away. Yoda’ Eastern pantheism sounds like a compliment–you are God!–but it turn out that you are actually the problem. Whatever makes you a unique individual has to burn off so the impersonal force buried within can drop and dissipate into the ocean of deity. So much for Star Wars theology. No, death is not natural, and it’s not good. The Bible calls it “the Last Enemy” for a reason. Yesterday, I was reading John chapter 11 and the story of Lazarus. And it was so obvious reading about Lazarus’ death and Jesus’ reaction to it. Remember, “Jesus’ wept,” shortest verse in the Bible? Why did he weep, because He hated what death had done to His friend. One more quote from Mike Wittmer. He says, “I once attended the funeral of an infant who had died in a tragic accident. The pastor offered the usual words of comfort ‘We can rejoice, for this child is better off than we are. He isn’t really dead. He is more alive than he’s ever been, safe in the arms of Jesus.’ There is precious truth in these words, though they seemed to skate past the grief of the numb parents. Couldn’t we acknowledge that something horrible had happened? “I appreciated even more the words of the grieving father, who with quivering voice declared that no parent should ever have to bury their child. He pointed out that every death is ultimately the result of sin, and that when he held his dead son in the hospital, he thought he saw the face of sin. The mask of sn had been ripped away and he saw sin for what it is, the enemy that will one day steal from us everything and everyone we have ever loved. So, death is coming for each of us, and it is not natural, not normal, not good. But, praise God, it is a defeated enemy. Turn with me to the book of Hebrews chapter 2. Your Bible might have opened to Acts. Turn a few more book to the right and find Hebrews chapter 2. Now, I’m going to read verses 5-18, but instead of explaining all of it, I’m just going to draw our attention to the parts specifically about death. Especially verses 14 and 15. It’s all good, but we’re going to stick with our theme today. Death. 5 It is not to angels that he has subjected the world to come, about which we are speaking. 6 But there is a place where someone has testified: "What is man that you are mindful of him, the son of man that you care for him? 8 and put everything under his feet." In putting everything under him, God left nothing that is not subject to him. Yet at present we do not see everything subject to him. 9 But we see Jesus, who was made a little lower than the angels, now crowned with glory and honor because he suffered death, so that by the grace of God he might taste death for everyone. 10 In bringing many sons to glory, it was fitting that God, for whom and through whom everything exists, should make the author of their salvation perfect through suffering. 11 Both the one who makes men holy and those who are made holy are of the same family. So Jesus is not ashamed to call them brothers. 12 He says, "I will declare your name to my brothers; in the presence of the congregation I will sing your praises." 13 And again, "I will put my trust in him." And again he says, "Here am I, and the children God has given me." 16 For surely it is not angels he helps, but Abraham's descendants. 17 For this reason he had to be made like his brothers in every way, in order that he might become a merciful and faithful high priest in service to God, and that he might make atonement for the sins of the people. 18 Because he himself suffered when he was tempted, he is able to help those who are being tempted. Someday, we’ll go all the way through Hebrews together and we’ll unpack the author’s argument about angels. But the main point that’s being made here is that God did not become one of the angels to bring salvation, God became one of us to bring salvation. In fact, he became (v.14), flesh and blood. Look at verse 14. That’s the miracle of Christmas. That’s the incarnation. There is no Holy Week without Christmas first. He shared in their humanity. And one of the biggest reasons why Jesus had to become human was (look up at v.9, at the end of v.9). It’s a true experience of all of the flavor. Our adult Sunday School has been studying Passion Week for the last two months. I know that this is Palm Sunday and normally that’s a high day, a happy day. But we don’t have a separate service for Good Friday, and I always try to use Palm Sunday to get us to think about what happened to Jesus on that Good Friday. And it’s flavor was overwhelming to Him. Just look at Him in the Garden of Gethsemane begging His Father to take away the cup of His wrath. Just look at Him crying out to God, sweating drops of blood, asking His disciples to stay awake and stay with Him. And that’s a taste of death that we can never truly understand. We cannot comprehend what kind of death crucifixion is. And we cannot begin to comprehend what crucifixion of an innocent God-Man is! Jesus tasted death, and it was the worst thing He ever ate. That’s why God the Son became a human like you and I. To die like you and I die. Death. Today is a communion Sunday. I love that this year, Palm Sunday lands on the first Sunday of the month when we normally eat the Lord’s Supper. In 1 Corinthians 11, the apostle Paul says, “Whenever you eat this bread and drink this cup, you proclaim the Lord’s death until he comes.” (v.26). You proclaim the Lord’s death when you eat and drink this meal. Because Jesus’ death was special. When Jesus tasted death for everyone, He was defeating the last enemy. It was the death of death in the death of Christ. Hebrews 2:14 and 15 give us two major points of victory over the last enemy. There are others, but these are the two I want us to meditate on today as we head to the communion table. #1. JESUS’ DEATH DESTROYED THE DEATH-POWERED DEVIL. It’s a strange way to destroy someone. When Jesus hung on the Cross, it looked like He was being defeated, like He was being destroyed. But that’s not what was happening. The devil was being defeated. Colossians 2 says that Jesus was disarming the powers and authorities and made a public spectacle of them, triumphing over them by the cross. You see Satan? He is defeated now. He held the power of death, but that is broken now. By his death Jesus might destroys him who holds the power of death–that is, the devil. Let that truth sink down into your bones. The devil is defeated by the Cross. And so, we ought to live like it. This is a table of destruction. The devil was destroyed at this table. Of course, he’s still running around making trouble, and he’s still powerful, and we still have to watch for him. But he’s a defeated enemy. And he’s going to spend eternity in the lake of fire. Jesus’ Death Destroyed the Death-Powered Devil. And #2. JESUS’ DEATH FREED THE DEATH-FEARING SLAVES. That’s us, and it’s verse 15. It’s okay to fear death a little. It’s a scary thing. It’s an enemy. Even Jesus feared death some, I think. But it’s not okay to be in slavery to the fear of death. Where the fear of death grips you and holds your head under water. It’s not okay to be in slavery to fear of death. Because Jesus’ death has defeated death. Not just the devil. Jesus’ death defeats the devil. But it also defeats death itself. So that death cannot hold us. And that gets us into next week’s message. Where nothing can stop us, not even death. Jesus’ Death Freed the Death Fearing Slaves. Last Summer, I was talking with a young mother who was deathly afraid of death. She was preoccupied with death. Instead of pretending that it wasn’t coming, she morbidly dwelled on the subject. She fell into the other ditch. If you’re pretending it’s not on the way, you’re fooling yourself. You might escape taxes, but you won’t miss death unless you’re part of the generation alive when Jesus returns. But she fell into the other ditch of preoccupation and absorption with death. And this is where I took her in the Bible I gave her. This is why Jesus came. This is why Jesus became one of us. This is why He tasted death. That’s what this table means. It means that we don’t have to fear death any longer. We no longer need to be enslaved to that fear. This is what we proclaim when we eat and drink this meal. The devil is defeated. Our sin is paid for. And we need fear death no longer. Because we know that after Jesus returns, death itself will die. Revelation 20:13 says that death and Hades will be thrown into the lake of fire. The lake of fire is the second death. I don’t know how that can be. I don’t know what a world without death would even be like. The death that defeats the devil. The death that frees the slaves.